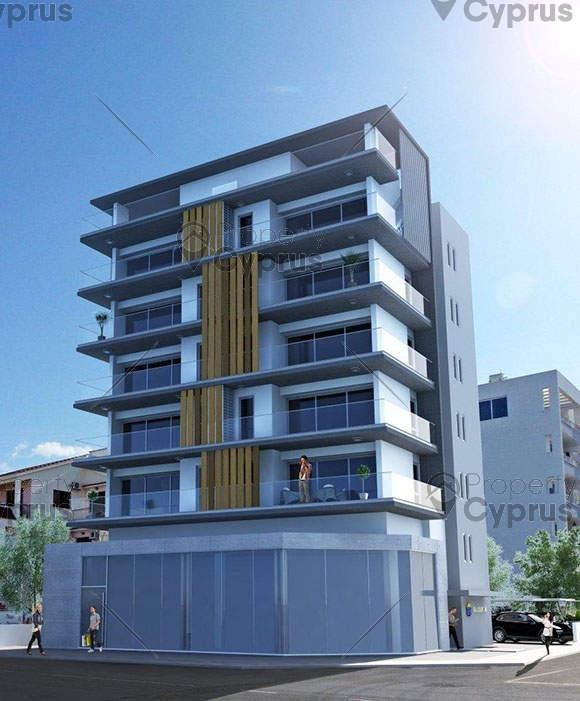 This luxury apartment block is centrally located in downtown Larnaca and is opposite a park area and the St, Lazarus junior school. 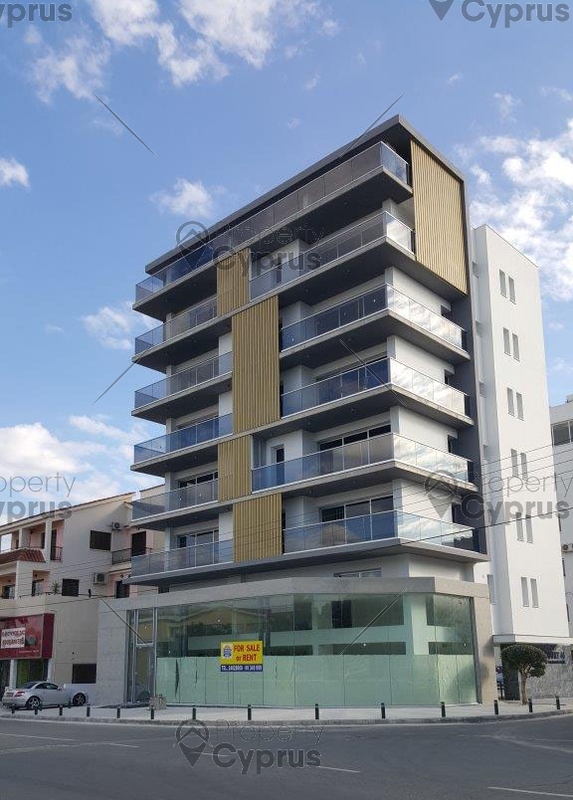 This is a 6 floor building and the only apartment that is currently available is the showroom which is on the ground and mezzanine floor. 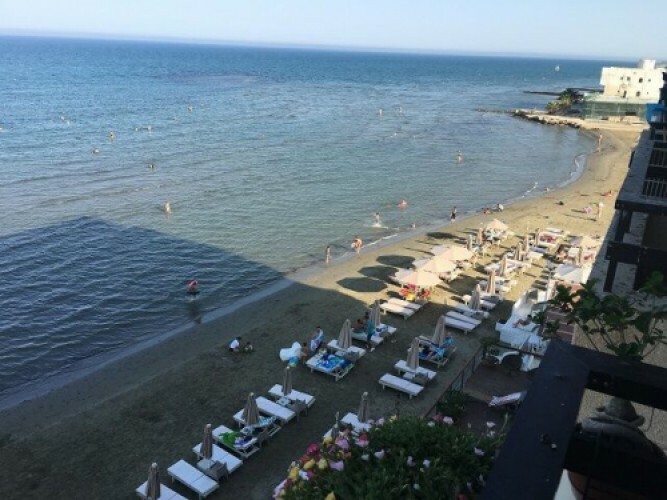 The apartments are a two minute walk from the shopping center and a 5 minutes’ away from Phinikoudes beach and the Marina with all its restaurants and entertainment. All amenities are within walking distance. 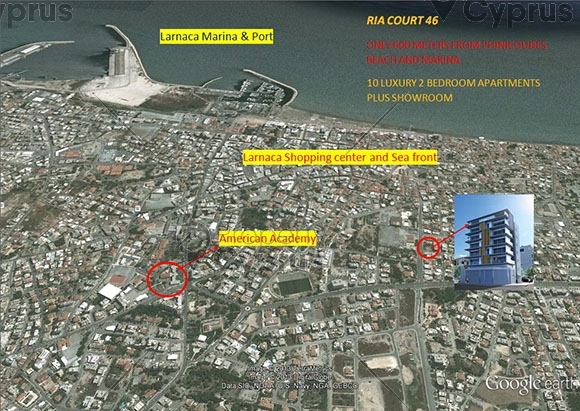 Larnaca has a plethora of public and private schools for all ages including colleges and university for higher education. 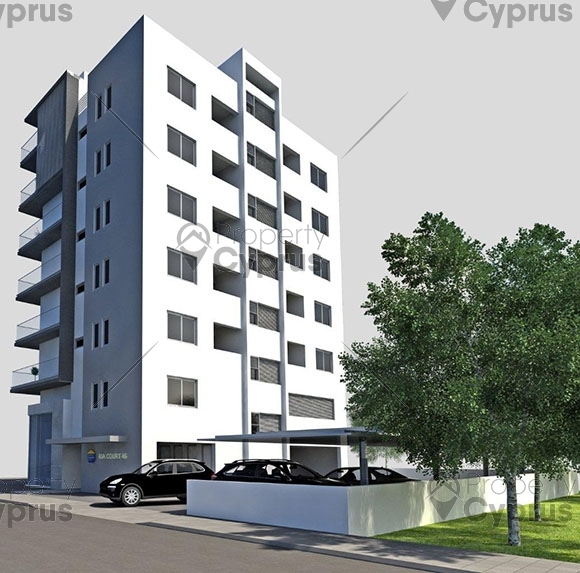 All these facilities are very close to this centrally situated apartment. 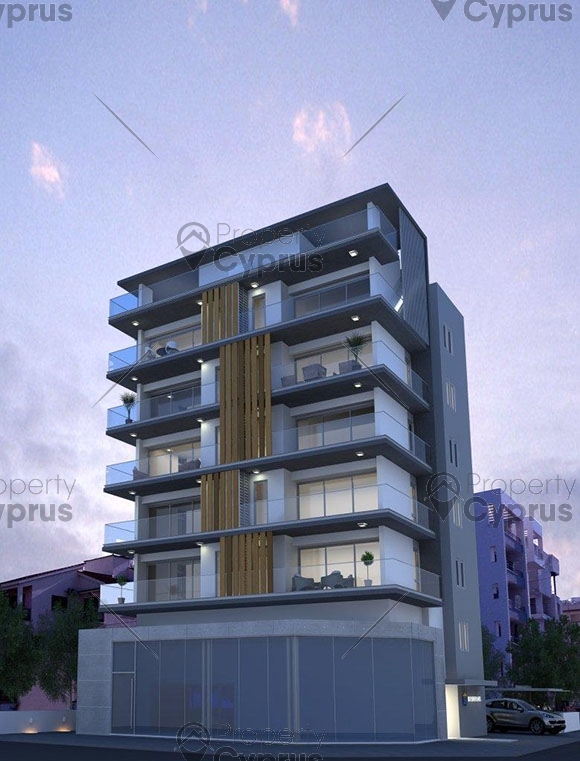 This 2 bedroom apartment is designed for spacious living with large living areas and balconies. The one bedroom is en suite with the other having a separate bathroom. The apartment has its own parking space and storage facility. 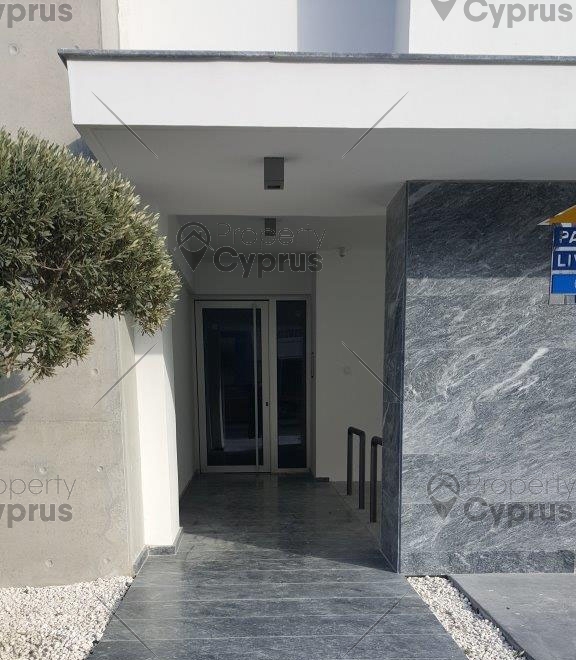 Built with reinforced concrete according to the strictest codes, this building offers fully tiled floors and verandas with a modern kitchen made out of timber with a melamine finish and quality fittings. All external doors and windows are double glazed aluminum. The apartment has thermal insulation and provisions for air conditioning and storage heaters.